Copying and pasting or cut and paste is an activity that we do many times a day. We use the clipboard over and over again, and it stores a single item that can be pasted elsewhere. A URL, some text, an image, one or more files and folders. All can be copied to the clipboard with a key combo. Select something in Windows or almost any application by dragging the mouse over it and then press Ctrl+C. Windows stores it somewhere, it doesn’t matter where, it just does. To paste it into the same application or even a completely different one, position the cursor or open the app and press Ctrl+V. The last item copied is pasted in. If Ctrl+X is used instead of Ctrl+C to copy something, the original item is deleted, if possible. It isn’t possible to delete items on web pages for example, but cut and paste works in Microsoft Office applications, photo, audio and video editors and many other apps. Only the last item copied is stored on the Windows clipboard and the next time something is copied with Ctrl+C, it replaces whatever was there. It remains on the clipboard until Windows is restarted or the PC is powered down. Instead of the keyboard shortcut, an application’s Edit menu usually has Copy, Cut and Paste options and they are an alternative to the keyboard shortcuts. 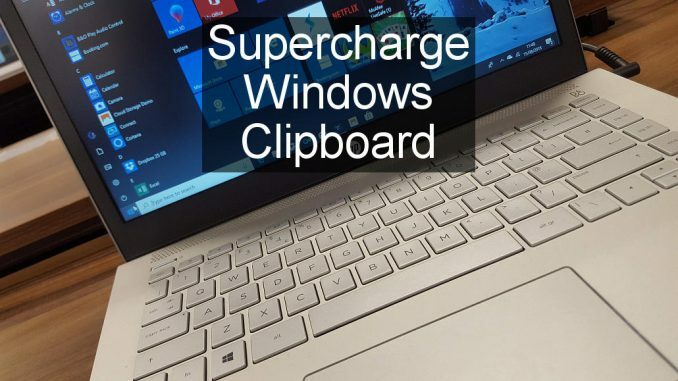 The Windows 10 October 2018 Update includes a much more powerful clipboard that supercharges the old clipboard. It still works exactly as it always did with Ctrl+C to copy and Ctrl+V to paste and you might therefore never realise that there is a new clipboard because nothing appears to have changed. Hold down the Windows key and press V and small Clipboard window appears on the screen that contains a list of all the items that have been copied to the clipboard. Here I copied a URL from a web browser and copied some text off the web page. Then I opened a WordPad document and pressed Windows+V. Just click the item you want to paste in. I am not sure what the maximum number of items is, but I have copied a dozen without hitting any limit. There is a Clear all link in the top right corner to remove everything, but a cross in the top corner of the currently selected item lets you remove just that one item. A pin icon on the right enables an item to be pinned to the top of the list. Pin your most used items to the top where they are easiest to reach. Move the mouse over the right-hand edge to enlarge the wafer thin scrollbar and drag it up and down to view all the clipboard items. 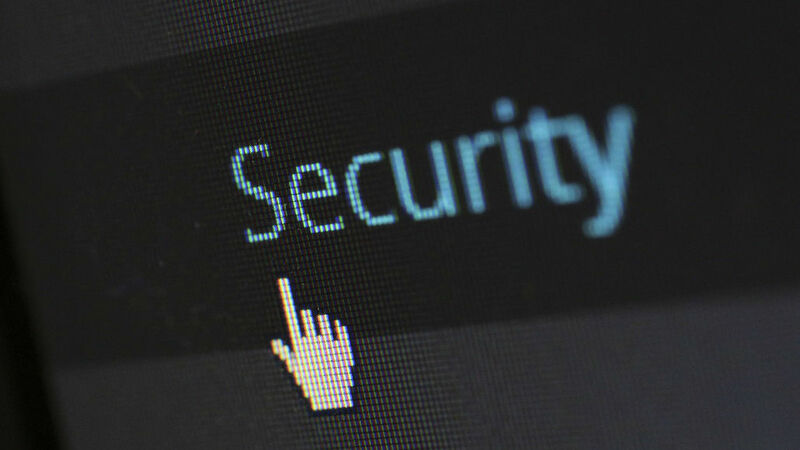 You may find it easier to spin the mouse wheel or push up or down on a laptop’s trackpad to scroll through. Here it is with GIMP. I copied a whole image and a selected part of an image to the clipboard so there are two items at the top. Previous items are pushed down. Don’t use the application’s Edit, Paste menu because that will only paste the last item copied at the top of the list. 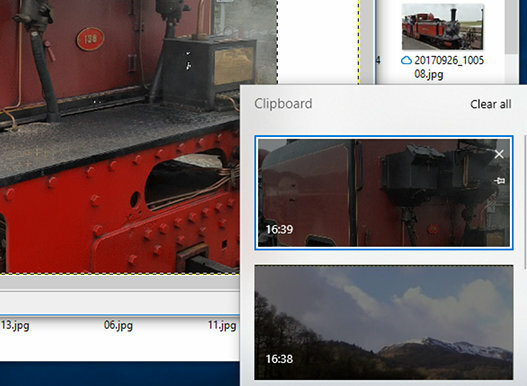 Instead, press Windows+V to show the clipboard history and to paste items. There have been third party utilities that provide multiple clipboard items for years and some of them are very good. However, there is now less of a need for them because a pretty good multi-item clipboard is built into Windows. 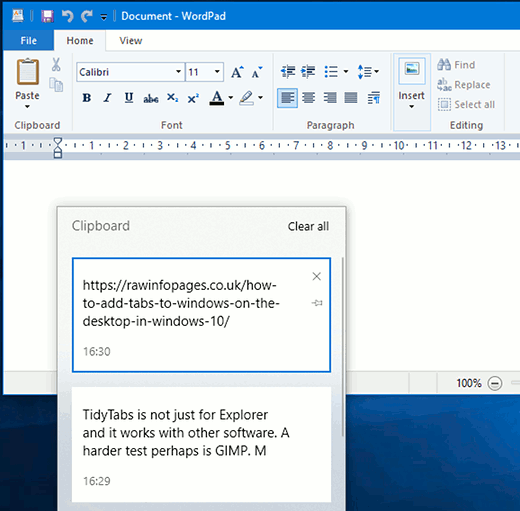 Third party clipboard tools may do more and, of course, are essential if you still use Windows 7. One thing the new clipboard does not do is remember items after a restart. The old clipboard was erased when Windows was shut down and this new multi-item clipboard is too. It would be nice to save it. Maybe we will see the feature in the next Windows update. In the meantime, try the new clipboard, you will like it.